Shadowboxer is a young fitness brand, which was especially developed for boxing. In the meantime, the training equipment of Shadowboxer has also become very popular as training device in sports and fitness classes. 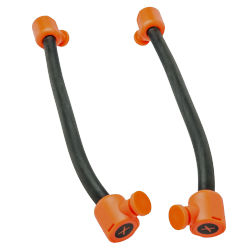 Being attached to a belt, exchangeable tubes are connected with a handle and generate an increasing resistance. Kick and punch varieties can be trained flexibly and effectively. 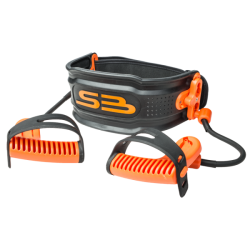 Purchasing the Shadowboxer Fitness set, you get a high-quality resistance trainer, which is ideal for your boxing and fitness training. The Shadowboxer fitness and boxing system provides you an effective training for strengthening and tightening the upper body muscles. The set includes: abs belt, handles (2x), power tubes (light, 2x). The Shadowboxer Power Bands are a part of the Shadowboxer Fitness and Boxing system. Use these to intensify your boxing and fitness training.